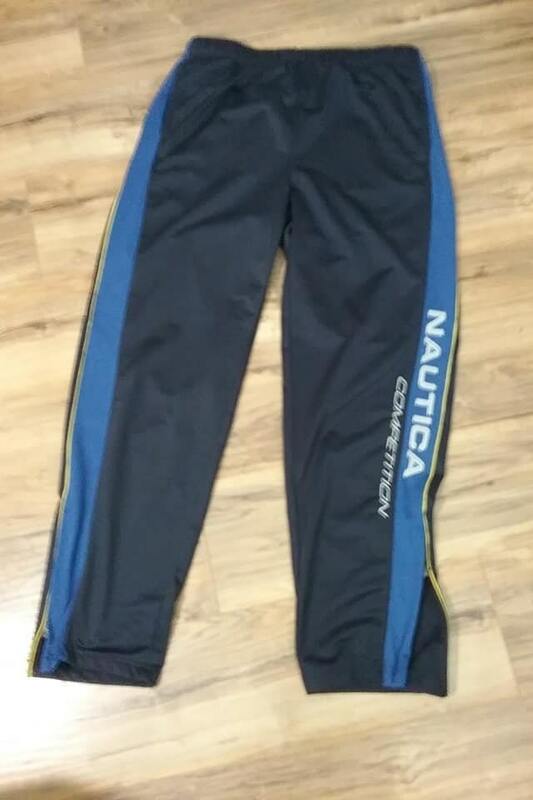 Vintage 90's Nautica Competition training/track pants. 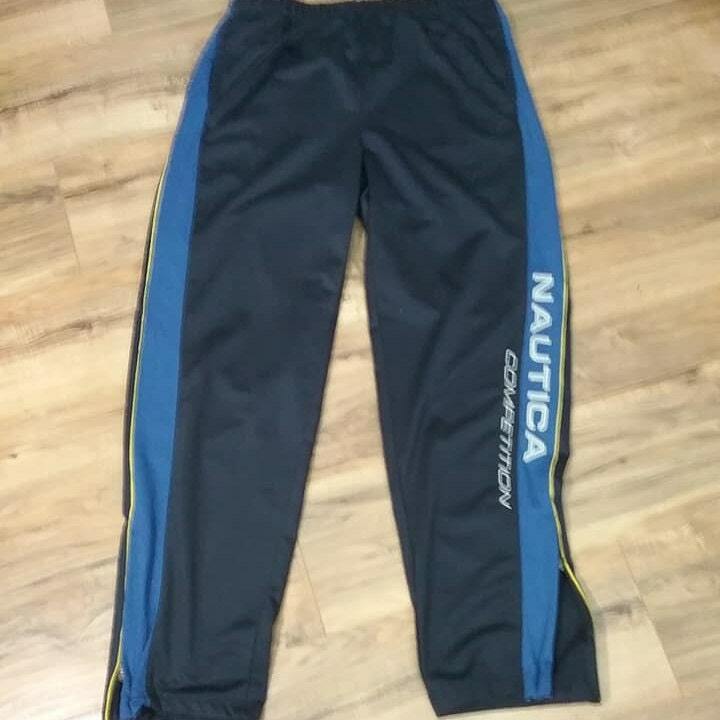 Adult large has elastic waist and drawstring, and are in very good-excellent vintage condition. Two side pockets and one zippered at back. 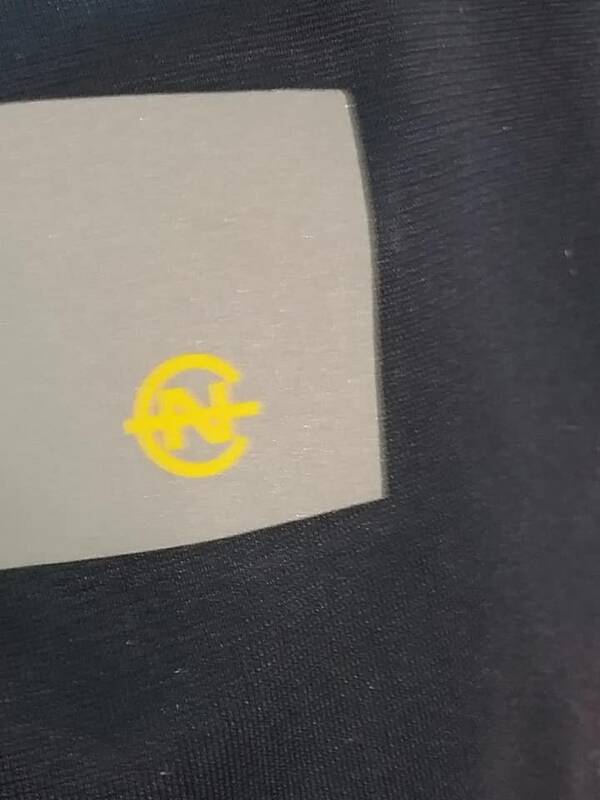 Nautica reflective insignia patch 1.25" square on back pocket. 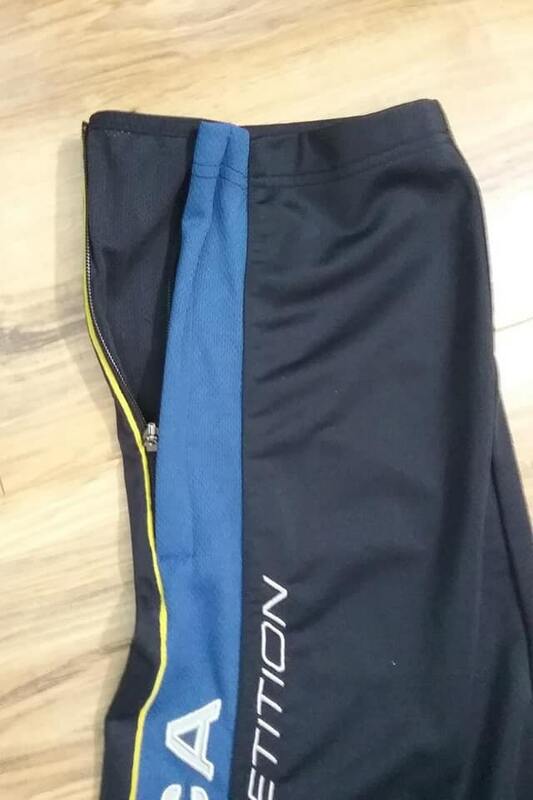 6" length zipper on bottom sides of legs. Embroidered spell out. 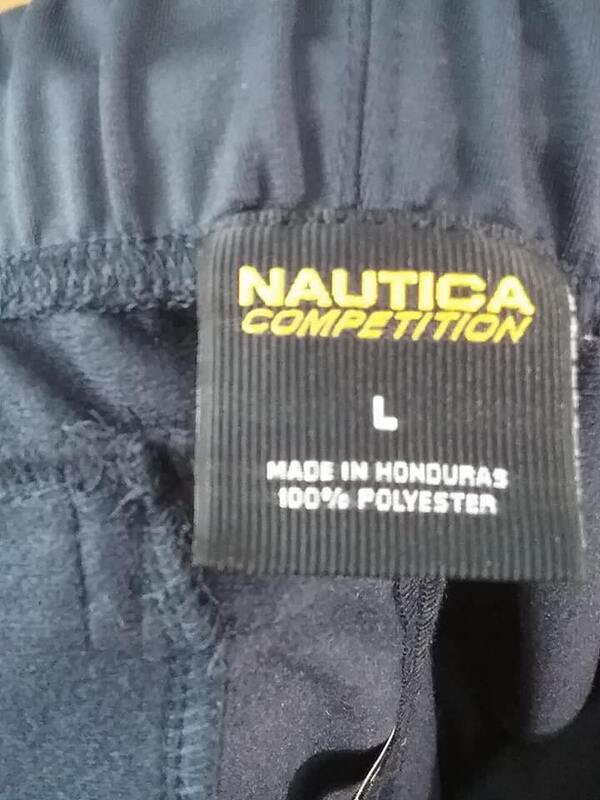 Made 100% polyester, measurements are approx. 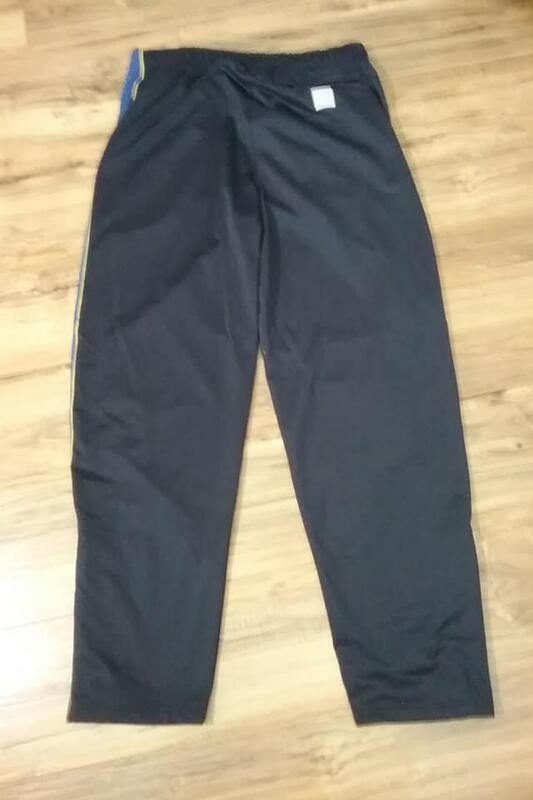 inseam - 32", length - 43", hip to hip flat - 16". 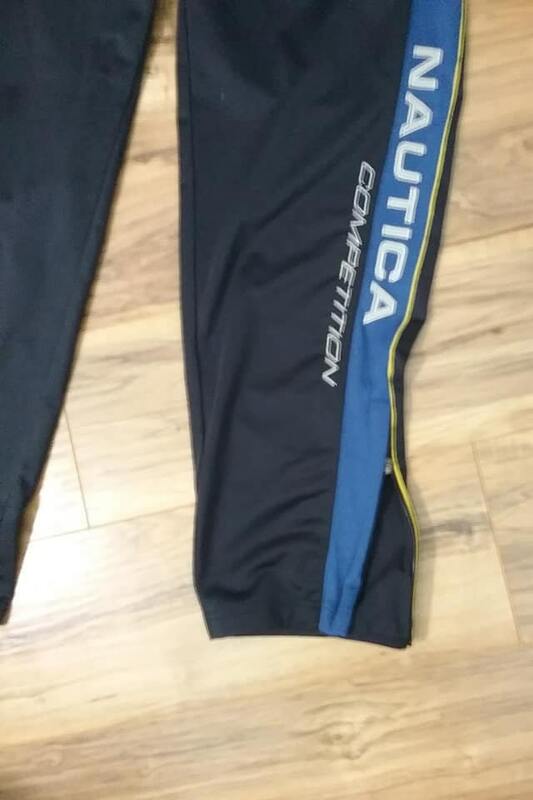 This classic track pant is still bright and vibrant, and a name you can trust.